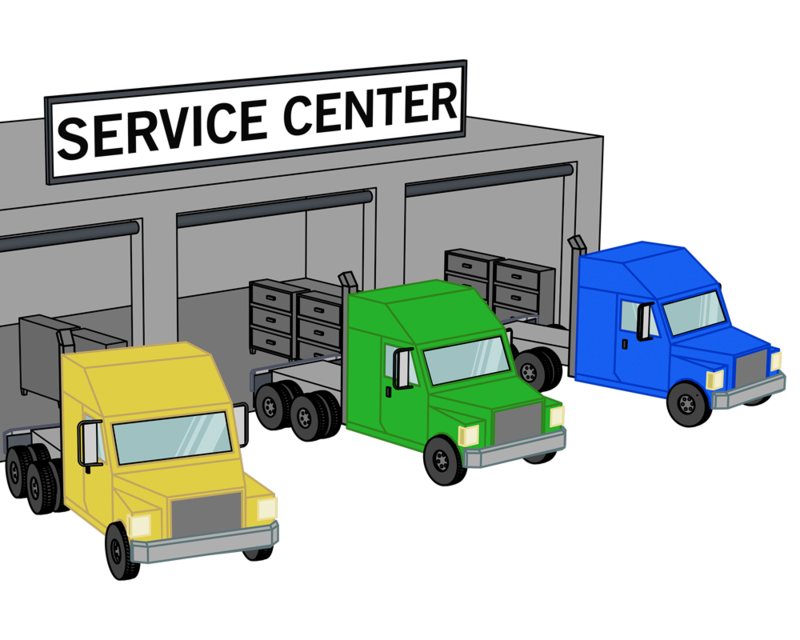 Every year more than 2 million commercial truck and trailer hubs will need to be either serviced or replaced. Service often requires rebuilding the hub by manually replacing and adjusting hub components which can lead to a greater potential for wheel end problems. 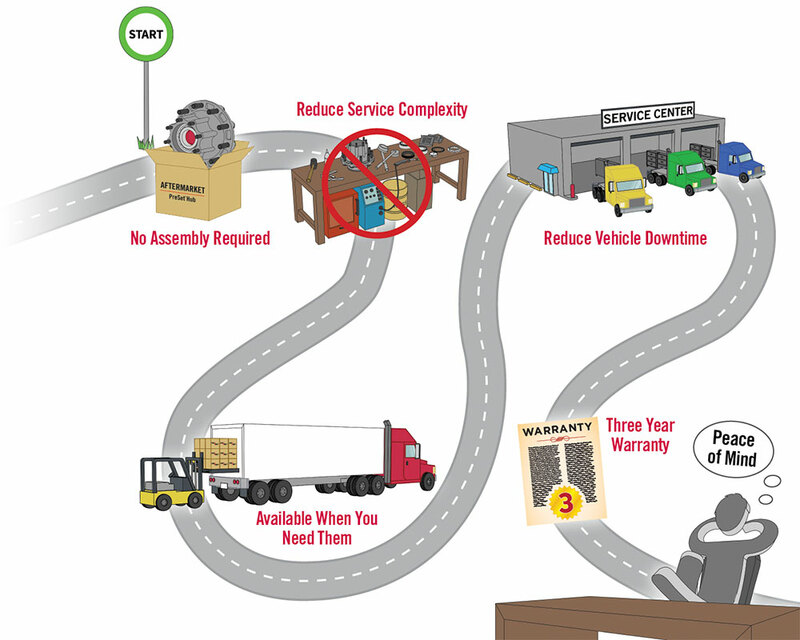 By replacing the hub, you can save or reduce time, cost, and complexity. And, it keeps the truck OEM genuine, like it came from the factory. For over 20 years, truck OEMs have been installing PreSet® hub assemblies. Without needing to install seals and bearings, they simply slide the whole hub assembly onto the axle spindle and install the nut. 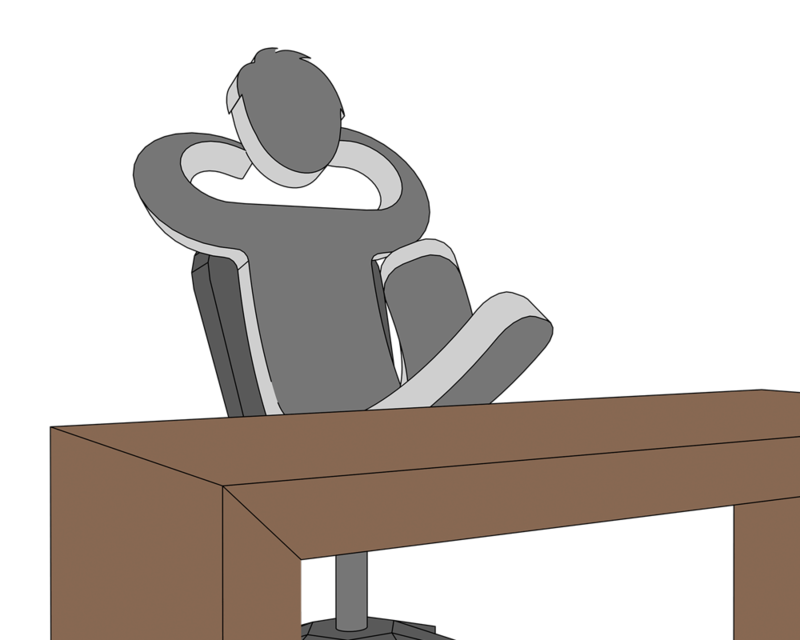 If the OEMs aren’t building their hubs, why should you? Don’t risk potential problems by having your hubs rebuilt. Replace them instead, which keeps your wheel ends OEM genuine, like they came from the factory. With PreSet® hubs, installation is incredibly easy. Operators simply slide the self-piloting, pre-assembled hub onto the spindle, torque the retaining nut and add lubricant. Because the bearings are installed and pre-adjusted at the factory, there’s little opportunity for error in this process. 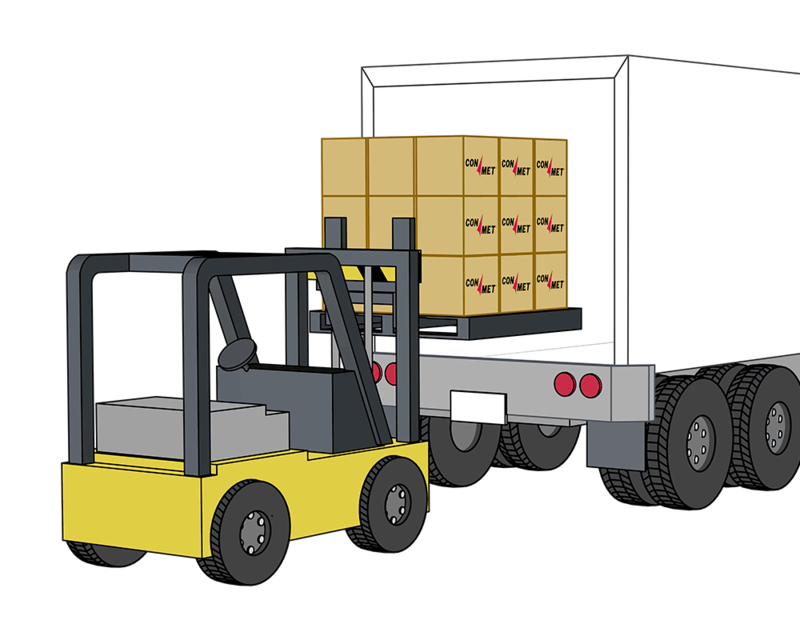 When a truck is taken off the road to be serviced, money is lost due to downtime. 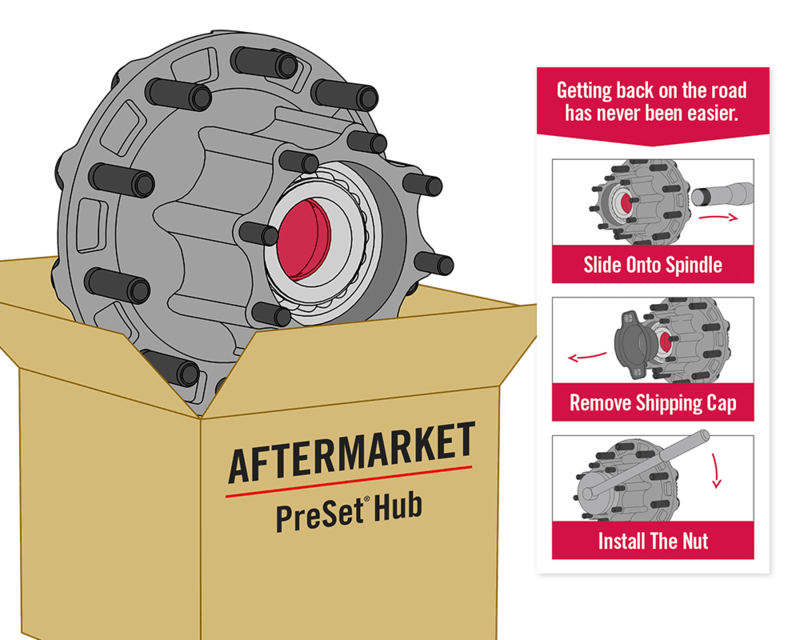 By replacing your wheel ends with a genuine ConMet® Aftermarket PreSet® Hub Assembly, you save hours compared to the time it would take to rebuild the same hub. ConMet® Aftermarket PreSet® Hub Assemblies are available nationally through local stocking dealers or distributors throughout North America. We’ve eliminated the wait so you and your truck can get back on the road, fast. ConMet® Aftermarket PreSet® Hub Assemblies carry an industry leading three year limited warranty. Install your hubs with confidence, knowing they are covered down to the smallest component. A hub rebuild consists of several risk factors to consider. 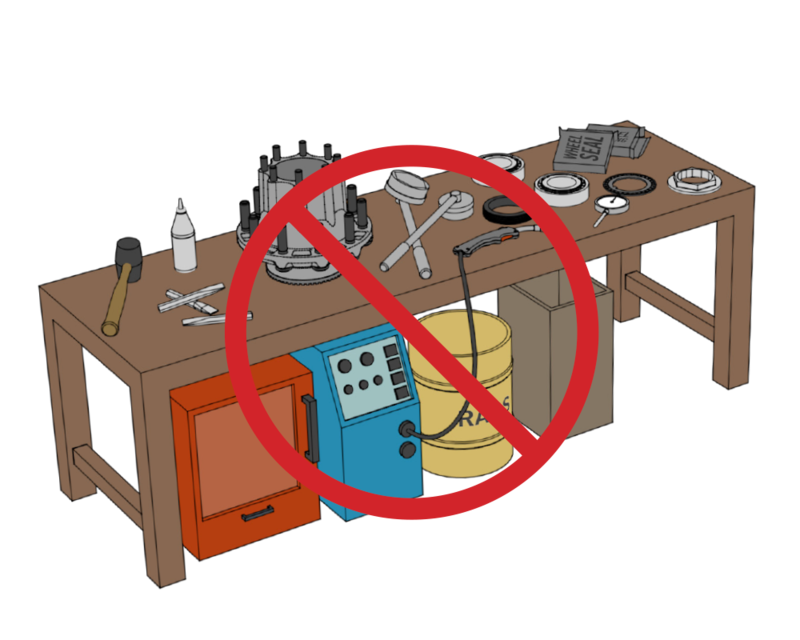 Some of these can include using damaged components or those that have not been approved by the OEM, and the potential for assembly errors during the rebuild process. 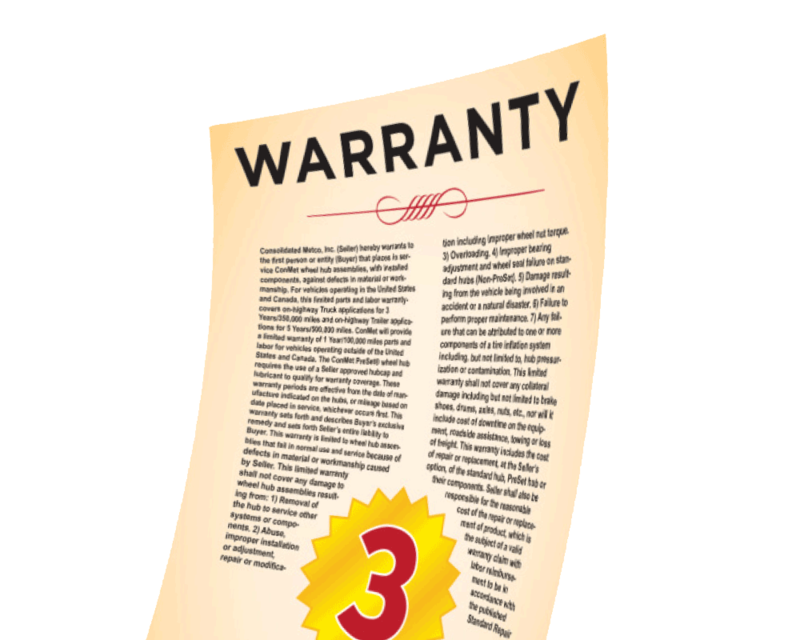 Any of these can result in premature component or wheel end failure. Replacing the wheel end with a genuine ConMet® PreSet® hub ensures optimum safety and reliability.